A man was left looking like an ALIEN after a reaction to hair dye that swelled his face and left him temporarily blinded him in one eye. 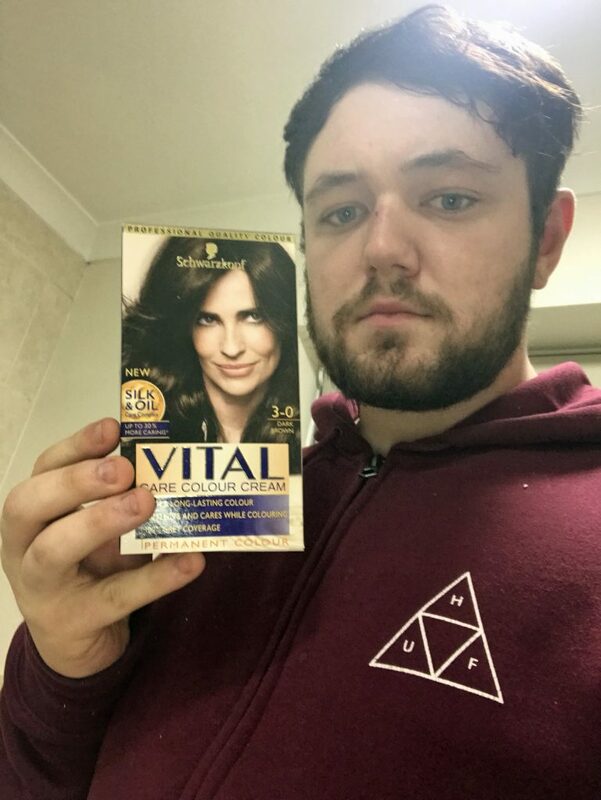 Jordan Vaines, 22, noticed his scalp become itchy and his neck enlarging a mere 30 minutes after using the product last month to turn ‘ginger’ hairs dark brown. 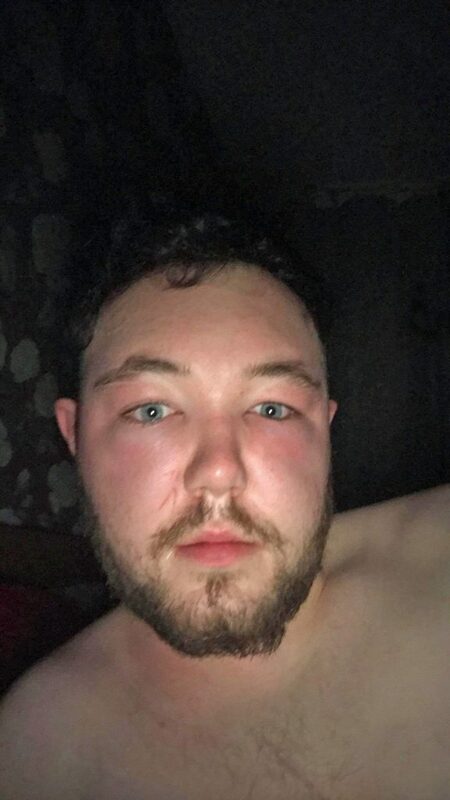 He was prescribed steroids at the emergency room to reduce the swelling, but three-days-later the reaction became worse bloating his face so much that he looked like an ‘alien’. The emergency medical advisor from Crawley, East Sussex, was having a reaction to a chemical in hair dye. He was so swollen that he couldn’t see out of his one eye and even after being admitted, put on I/V fluids and given more steroids, it took more than two weeks for his symptoms to disappear. 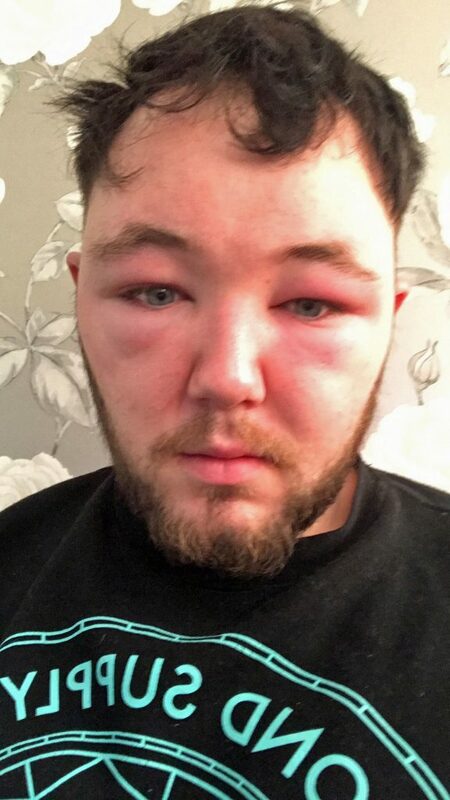 Now more than a month on from the shocking experience, he’s warning others of hair dye reactions and doing patch tests which can alert others to allergies. Jordan said: “I applied the hair dye, and everything was fine until 30 mins after I applied it, when my head started to really itch and I noticed the back of my neck starting to swell. 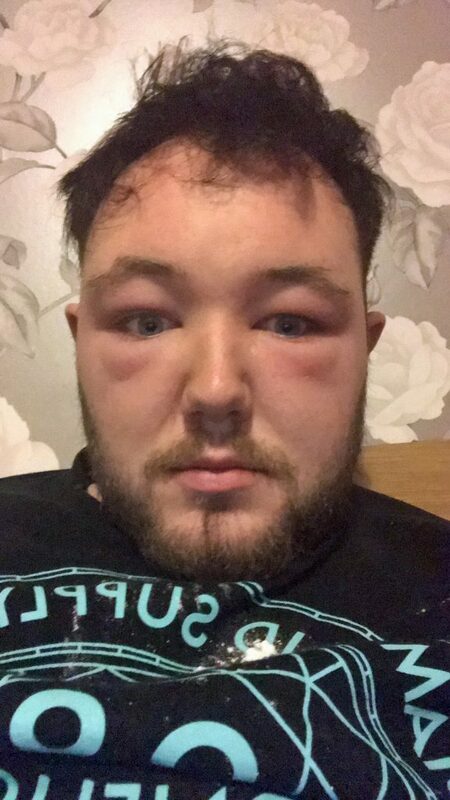 “Noticing that this has happened I made my way to the emergency room and was prescribed steroid tablets to help get rid of the swelling. “I began taking the medication prescribed but the swelling just began to get worse and worse. 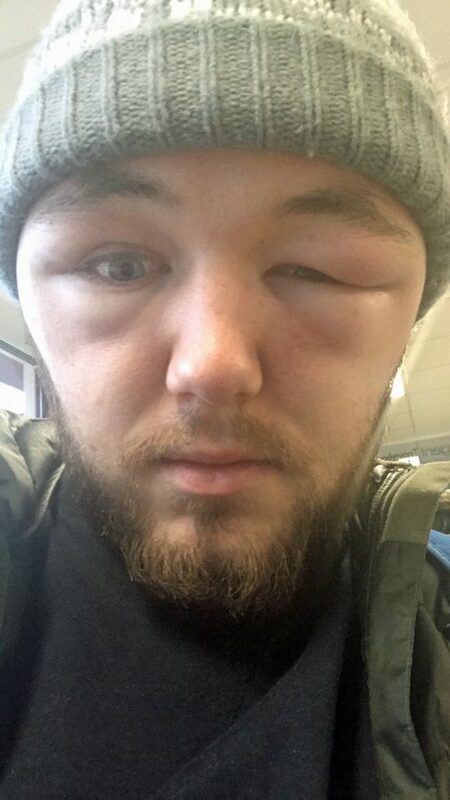 “It got to the point where I couldn’t open or see out of my right eye and my head was so swollen I looked like an alien. “When the reaction got worse they told me it was beginning to turn into anaphylaxis. “I was very concerned as I didn’t know if it was going to cause me to have difficulty breathing as it all happened so fast. “I was then admitted back into hospital where they put me on I/V fluids and gave me more steroid tablets. “It then eventually took about two weeks for the swelling to completely go, this put me out of work for nearly a month. Jordan said: “I’m naturally brown-blonde and bleached my hair to try go blonder but just ended up looking stupid, so I used to dye it dark brown every three months. “I always perform a patch test and had no reaction whatsoever, so I thought it was safe to use. Jordan added: “My family and friends said I looked like a completely different person it was a horrific experience. Gina Taro, a Salon Allergy specialist with 18 years studying, believes allergic reactions to hair dye will increase as more than 75% of women in the US alone dye their hair. She says that 6.5% of those dying their hair will suffer a reaction to one of the chemicals used in the dye. Gina said: “It’s a wide range of chemicals, from Paraphenylenediamine (PPD) to toluene-2,5-diaminesulfate (TDS) and others. “Reactions can present as anything from a red area to a very angry rash with blistering to open wounds that ooze. “To throat swelling, eyes crusting shut and the risk of a compromised airway that can lead to death. Gina offers specialist consultations on hair dye allergies and free information online. She said: “I take people through a process of special shampooing to help remove the excess PPD and other chemicals from the hair. Attempts were made to obtain comment from Schwarzkopf. In a previous response, a spokesperson said: “The safety of our products is a top priority for Henkel. All of our products, including our hair color products, are designed and manufactured to meet the highest quality standards and applicable legislation, as well as health and safety requirements. Real life elf spends $35,000 on skin bleaching, eye colour ops and plastic surgery!